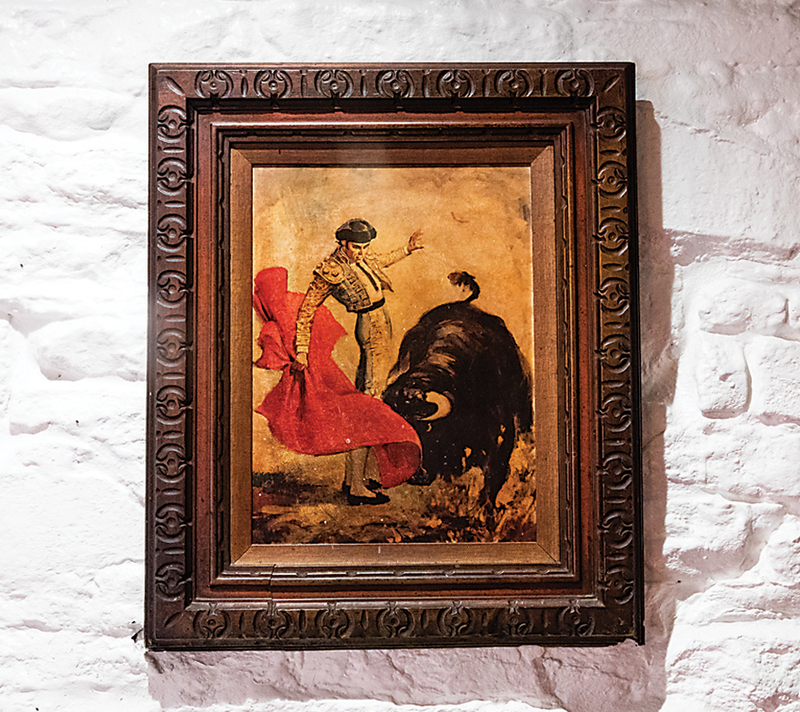 Fifty years after its opening, Restaurante Tio Pepe endures. the seafood salad, pitcher of sangria, and a steak is served. 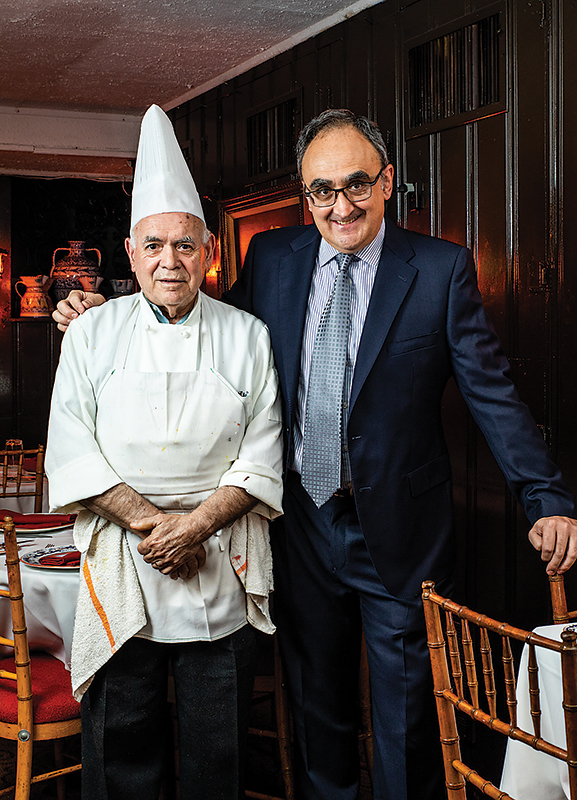 The older of the two, Emiliano Sanz, has been working here since 1970, two years after his distant cousin, Pedro Sanz, opened it and summoned him from Madrid. Five years later, in 1975, Oscar Galvis, newly arrived from Colombia, started as a busboy. 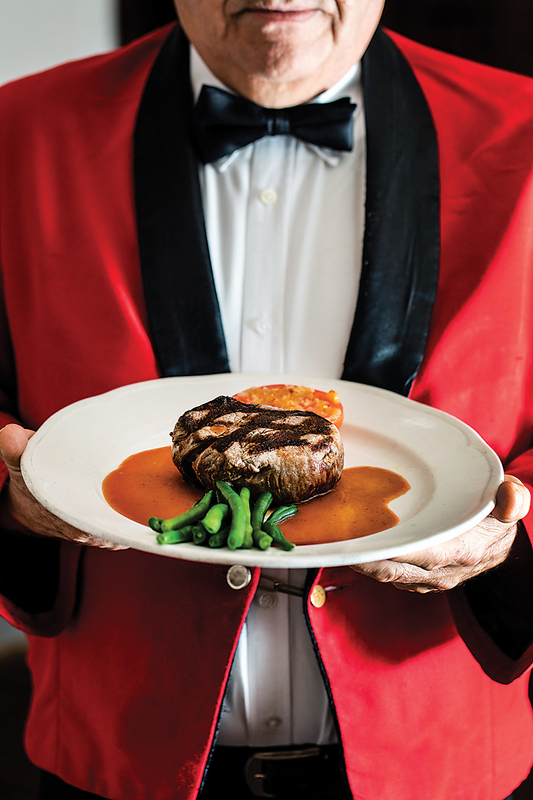 Within eight months, he traded his gold jacket for the blue one worn by runners, and soon after that he donned the signature red coat that he still wears today as a waiter. co-owners Emiliano and Miguel Sanz. 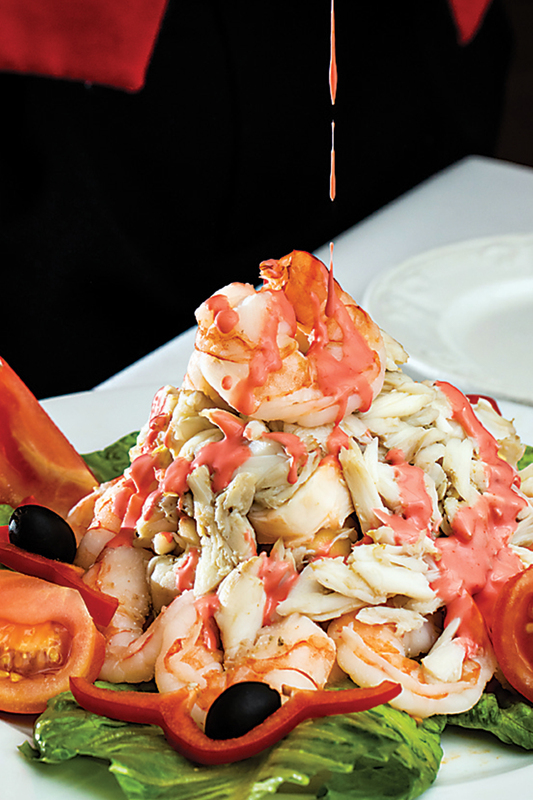 In the 50 years since it first opened on Dec. 26, 1968, precious little has changed at Restaurante Tio Pepe, its official name. Pedro, who presided over the kitchen during its glory days in the 1970s and ’80s, passed away in 1989, but the paella, cochinillo asado estilo Segovia (suckling pig), gazpacho, and of course, sangria, that have drawn diners for a half-century continue to intoxicate them today. 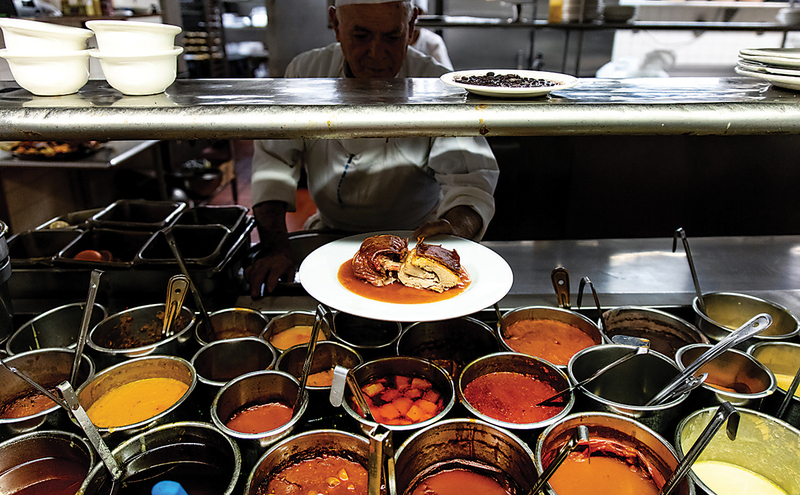 The food—richly spiced, seasoned, and sauced and generously portioned, caloric consequences be damned—is prepared by Emiliano, a man who has devoted 48 years of his life to the place. It’s served by a staff that turns over once a generation, if that, and consumed in many of the original cavernous maze’s stone-walled and wood-paneled dining rooms. Ashtrays remain mounted above the urinals in the men’s bathroom, even though they haven’t been used in years. “The only change is us,” Emiliano says. “We got old,” Galvis, 65, replies with a hearty laugh. Fifty may be middle-aged for most of us, but it’s downright antediluvian by restaurant standards. Culinary tastes evolve; populations shift, age, and transform; what was once cutting-edge suddenly feels stale. 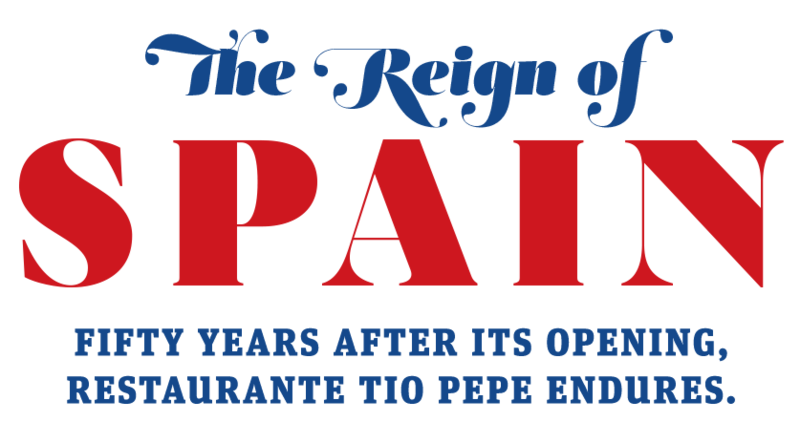 In the midst of this reality, Tio Pepe’s has thrived, withstanding the migration of diners away from downtown toward Harbor East, Hampden, and a host of other newer, hotter ’hoods. 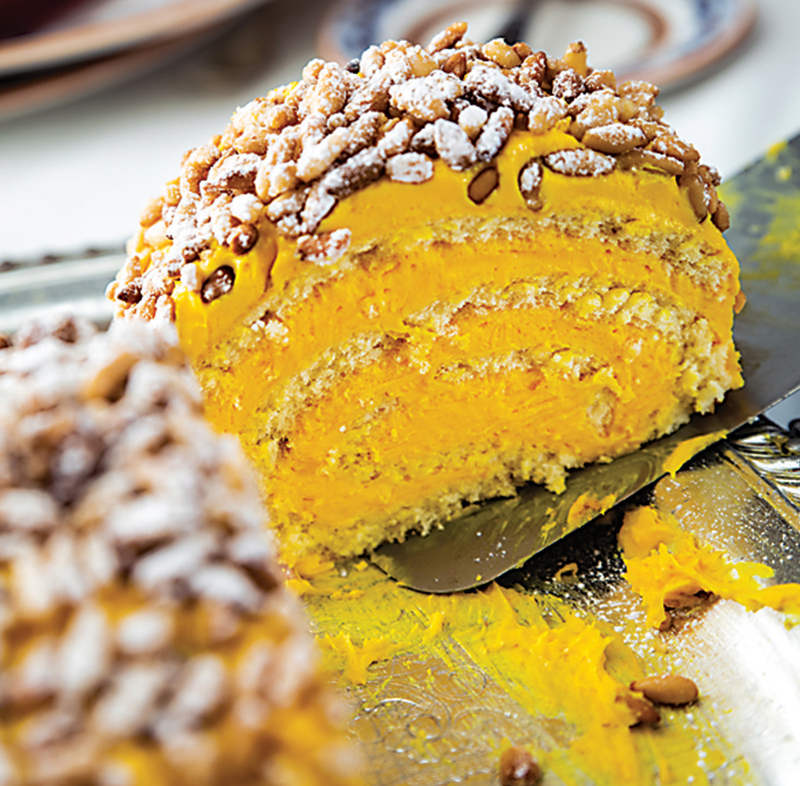 Its heyday—when it stood with giants such as Marconi’s, the Chesapeake, Haussner’s, and The Prime Rib (the only one that remains) has passed—but the present is pretty dulce. the paella with whole lobster, mussels, and shrimp. 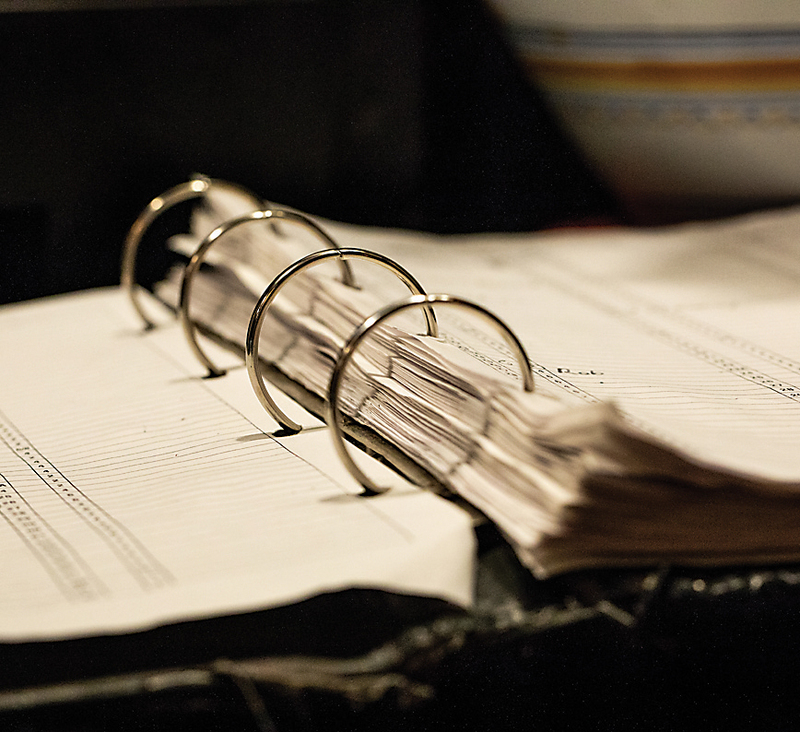 On Saturdays, the kitchen begins cooking between “four or five” Emiliano says. He’s a man who seems to prefer suggestions to absolutes; those in the know often order dishes like Lobster Emiliano (tail meat topped with shrimp, crab, and champagne sauce) that are not on the menu. “If you request anything and I have [the ingredients], I’ll do it,” he says. 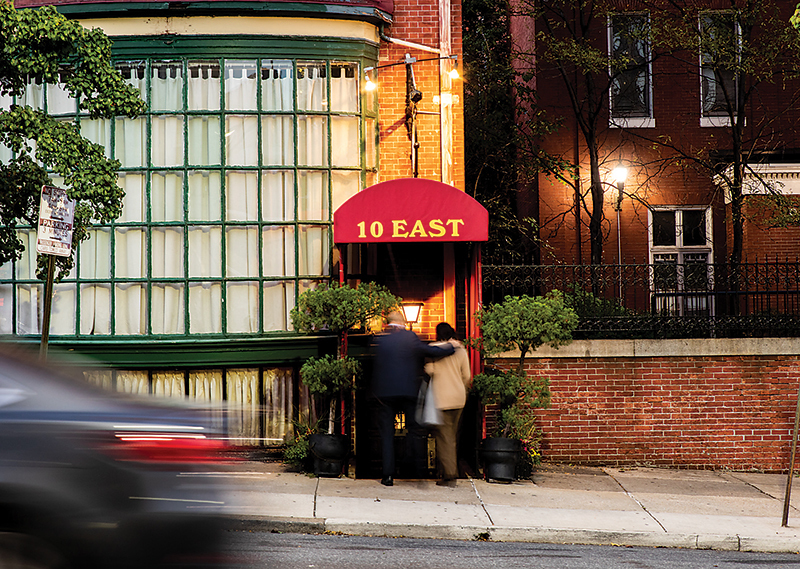 One gets the feeling that almost any time a guest descends the four steps from East Franklin Street into this time capsule of a restaurant, they’re politely seated, graciously served, and in all senses of the word, immensely satisfied. That was the case today, when Emiliano insisted that I join him and Galvis for lunch. Like most days, Emiliano arrived at the restaurant before 7 a.m. He needs to be there to begin fileting fish, cutting meat, preparing the suckling pig—all by hand—and overseeing the preparation of 26 sauces. Those and a large cauldron of rice are the only things made before a diner orders, he stresses. A short, stocky man with thinning white hair and a thick accent, he will be here past 10 tonight. He comes in six days a week, but jokes that if you add his hours, it’s more like 10. Hard work never scared Emiliano, who as a child in Spain used to harness a donkey to haul water to his house. He has worked in kitchens since he was 13, when his older cousin Pedro, who had moved from Segovia to Madrid, first brought him to the Spanish capital. In 1964, at 24, Pedro visited New York for the World’s Fair and decided to stay. After a stint cooking at a Spanish restaurant in the city, he moved to Baltimore and worked at the long-gone Peter Lucas restaurant in Roland Park, where he established a name for himself. When he opened his own place in 1968, he called it a popular Spanish name, to which he had no apparent connection. the suckling pig gets topped with one of 26 sauces. 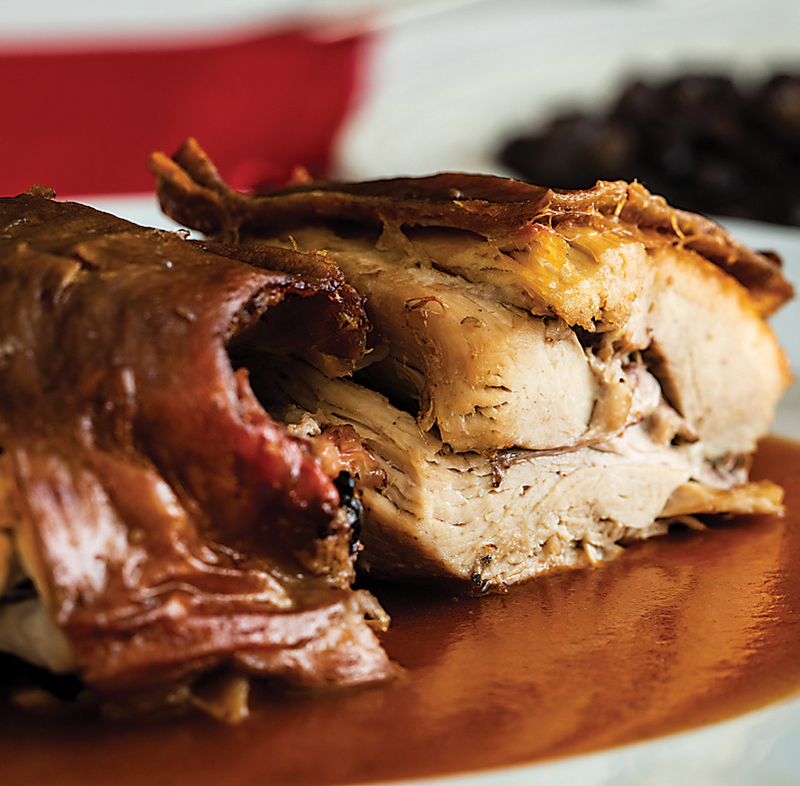 a plate of suckling pig and the famous house-made pine nut roll. The story is being recounted, as it has been dozens of times, by Pedro’s nephew, Miguel Sanz, 59, who came to the U.S. in 1983 to study engineering at The Johns Hopkins University. But after cancer took Pedro at the age of 54, he reluctantly took over management of the restaurant. Throughout 29 years at Tio’s, first as a busboy, then as a runner, server, and now general manager and co-owner, Miguel has employed both. Despite his understated manner, he’s startlingly frank—and unapologetic—about the evolution, or lack thereof, of the restaurant. 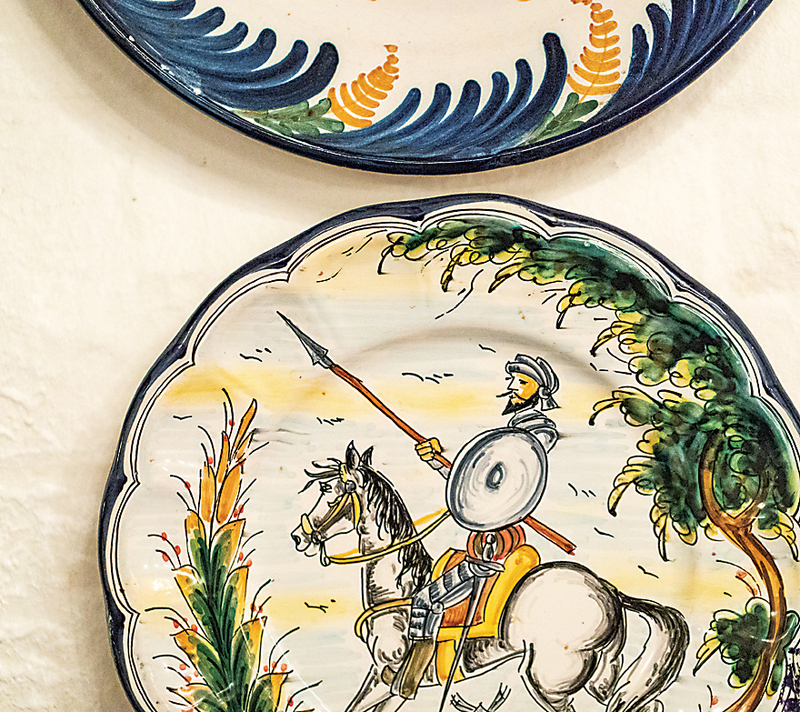 hand-painted dishes for serving, a matador painting and the sign from the street. As usual, Hilary Caplan, Richard Bader, and Carl Tuerk Jr. are sitting at a round six-top sipping drinks and swapping stories. This is their tradition, but don’t call it a routine. Routines are tedious. Lunch at Tio Pepe’s is a pleasure. This afternoon it’s the red snapper in green sauce, which three of them order. Caplan is having crab imperial, which isn’t on the menu but is the best in the city, in the judge’s opinion. At the table next to them is another group of regulars, albeit irregular ones. Joe and Fran Kasher are with their daughter, Chris Arrowood, her husband, Tom, and their grandson Michael. They all live in Pennsylvania but make the hour-and-a-half to two-hour drive a few times a year to eat at Tio’s (and visit their Baltimore doctors). Joe took Chris to the restaurant when she turned 16, and she, in turn, took her son there when he celebrated the same landmark birthday. After that much of the red wine-based, fruit-infused drink, it’s somewhat miraculous that he can recall that night. It is still among the most popular libations in the city—thirsty patrons consume more than 150 pitchers during an average week. 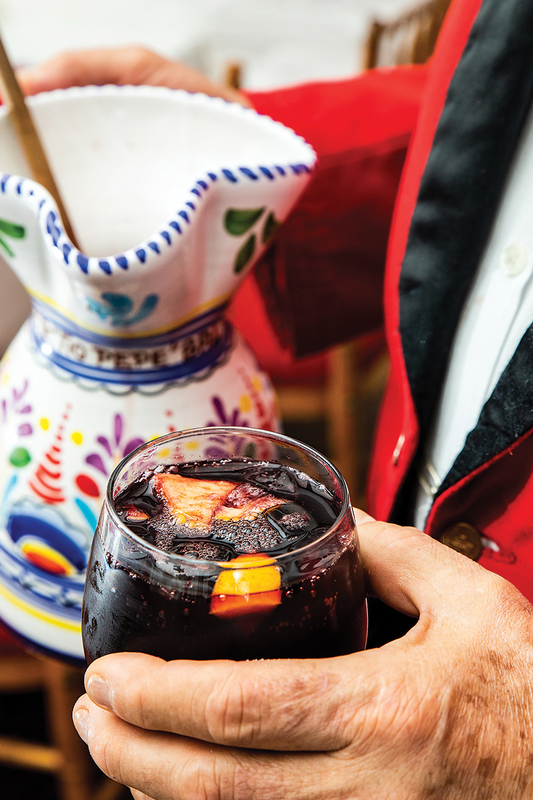 Nobody has better stories about people’s unquenched lust for sangria than Emiliano. Having finished his lunch and elicited a laugh from Galvis, Emiliano ambles to the front of the restaurant to check on the reservations for the evening. The book sits on a stand above which a faded, framed copy of Baltimore’s 1999 “Best Restaurants” issue hangs. “That’s me!” Emiliano proclaims, seemingly still tickled that he graced its cover. A warmth emanates from Emililano that is no doubt conveyed in his cooking. 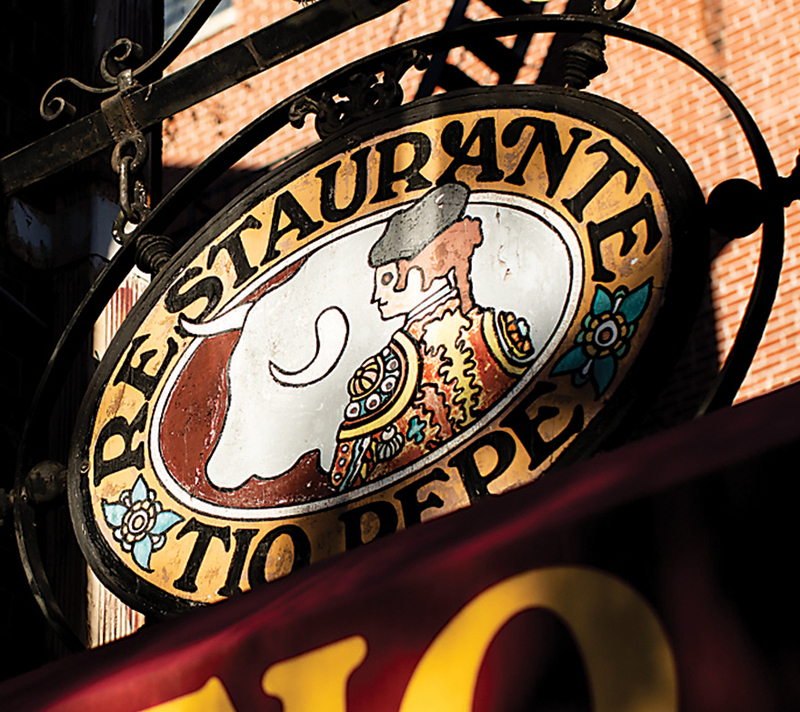 the street view of Tio Pepe. For him, food is emotional. It’s passionate. It’s personal. While he’s gone, I look through the thick reservation book, a four-ring binder filled with pages of three columns of handwritten names. Some of them have been recorded in it and its predecessors hundreds of times; others are making their first appearance. Nearly 400 people will dine here tonight, devouring dishes they can’t find anywhere else: veal kidneys in a sherry sauce with saffron rice; filet of sole sautéed with bananas; the famous house-made pine nut roll. They’ll wash their feast down with one too many glasses of sangria, then ascend glassy-eyed and smiling up those four steps onto East Franklin Street wondering when they’ll have the pleasure of doing it all over again. It’s a timeless culinary flamenco, but the sobering truth is time stops for no one. In the 2007 Baltimore piece, Miguel was asked about Tio Pepe’s future. More than a decade later, the almighty, it seems, has weighed in.